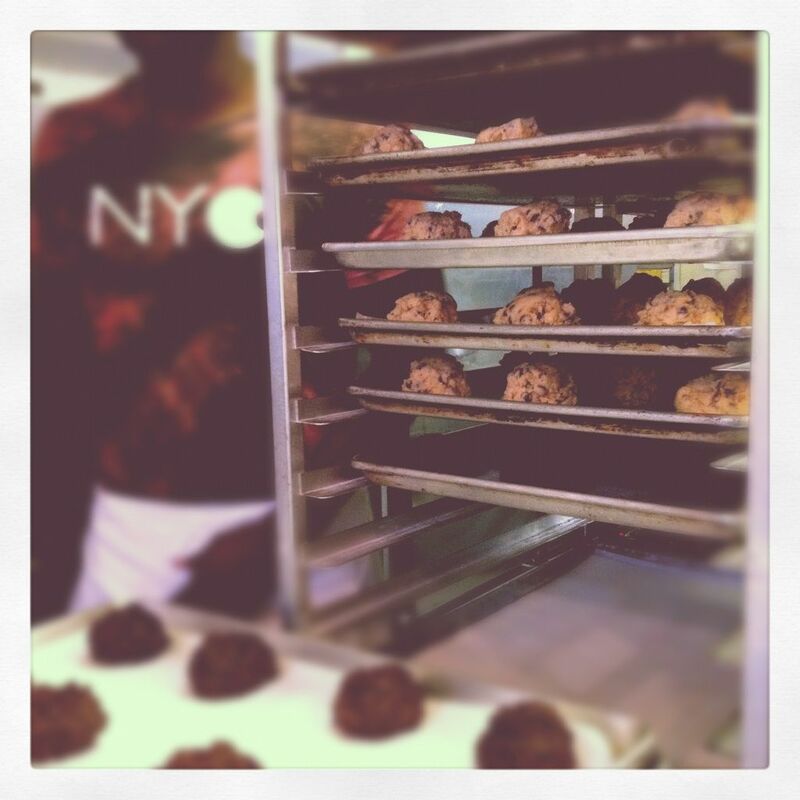 found: the best chocolate chip cookie in nyc. lost: self control, $4, girlish figure. and i thought, clearly these results must be verified! i know levain is going to win this, because, well. and yet i persevere, because i am nothing if not thorough. the thing about levain cookies is they're like giant hockey pucks of cookie. i had my first levain when i was 8 months pregnant. i went by myself on a rainy afternoon and picked up a chocolate peanut butter (oh man, just thinking about that cookie...). i thought for sure i'd be disappointed, it was so ugly. it looked like a cow pie. a $4 cow pie. but gooooood craaaaaaaap. it blew my miiiiiiind. and i couldn't finish it, miraculously enough, and it kept for days in the cupboard. i grazed on it for three days straight. that sounds gross but really it was heavenly. the bakery is small and sometimes hard to spot, on 74th street at amsterdam avenue. the chocolate chip is very good but it has walnuts, which aren't my favorite. the oatmeal raisin is amazing, if oatmeal raisin is your game, but the double dark chocolate chip and the dark chocolate peanut butter are where it's at. the thing about these cookies is the texture. they are sort of hard on the outside, but DAMN AMAZING in the middle. and the middle happens to be four inches thick. buy four and keep one handy at all times for emergencies. clearly, when you started this little series, you did NOT have my best interests in mind because now i am desperately desperate for one of these cookies. oh! brilliant idea. 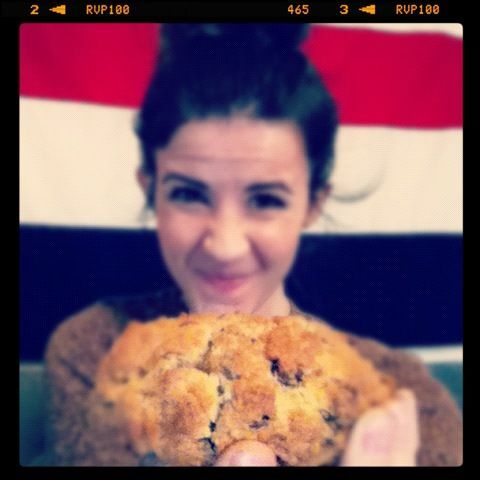 levain cookie giveaway..... there, i said it. i so ned to try levain. i've lived here for almost three years! i need to get on top of this. that cookie looks so so yummy!! omg. my ex's father did the heating and cooling for the owners (and apparently has helped them out in some jams), so we would get treated extra nicely when we came in. once, we came back to phila (i know, i'm not sure why i stayed here after moving for grad school either) with 24 (TWENTY FOUR!!) cookies. put 'em in the freezer and enjoyed for the next few months. even the last one was still amazing perfection and stayed just as fresh and fine for the three days it took to nosh on. ugh, levain. be still my heart. no other bakery could possibly win. Oh yum. Now I need to make some cookies! NYC is very far from Omaha, so I will just have to make do. when you go to two little red hens, try their "chocolate bomb" cookie. amazing! did you mean good carp... not crap? because i just laughed for five minutes. haha. thank you for that, i needed it. also, next time i'm in town i'll try these out! I just love your blogger voice. 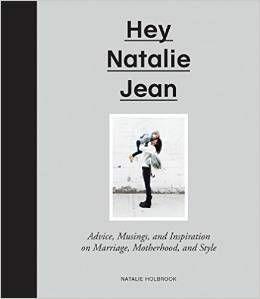 It's my favorite of all the blogger voices! And also I will have to go to Levain Bakery and get myself one of these amazing cookies if I'm ever in NYC (wait - that's not right, WHEN I COME to NYC). Went there last year when I was in NYC for my 30th birthday. I have been having dream about them since then. In fact for our 10 year anniversary in August I ordered a dozen to be shipped to me...worth every freaking penny! We loved the cookies at Levain. And I too spread mine out over a couple of days because dang those things are HUGE. My kids actually thought they were muffins at first site. just another reason i'm disappointed that i'm not pregnant yet...but seriously when i finally have another baby will you send me some of these? ya know...for when i "need" it. Drool. Thank you for sharing! I can't wait to see other reviews (because you're doing other reviews, right), though these cookies are legendary. My 16 month old Nia and I had our first Levain last week at the shop in Harlem. She wasn't into it, but I ate my chocolate chip walnut cookie in all of 6 minutes and then quickly felt ashamed wondering if I was supposed to make it last. Oh well! I'm still nursing so I guess I "needed" it. Hi New Yorkers you may be able to help me?? I am looking for the name of a little coffee shop/deli that is nearish to the Roosevelt Hotel in NYC. They serve a brand of coffee called Illy and make amazing breakfast burritos, omlettes and granola parfaits! The reason why I am asking is because it was my go to place for amazing breakfast and good coffee in New York and I cannot for the life of me remember the name of it! I would really like to let my travelling friends know what the place is called! Yes, levain is good. But I am a lover of Jacque Torres'. Ask for it warm and make sure you have plenty of wipes handy. And now that you have reminded me, I must return to city bakery soon. I love love love their hot chocolate AND chocolate chip cookies!!! just found your blog and happened upon this post. 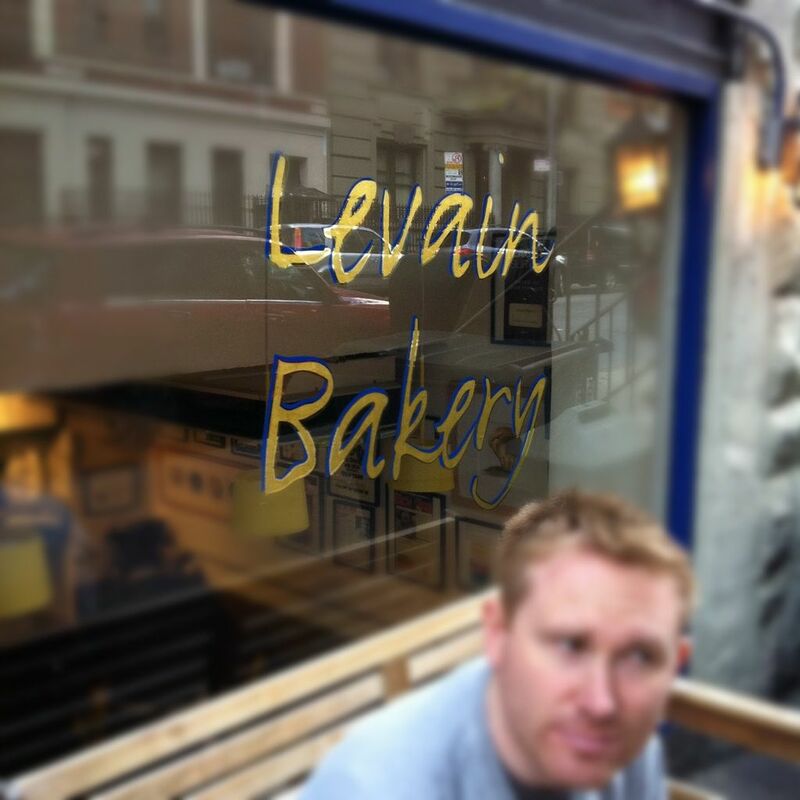 levain is one of my favorite memories of my first trip to nyc. and now my mouth is watering for another cookie!!! !